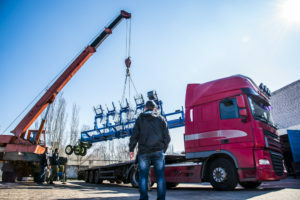 There are different types of machinery from one workplace to another, however, they’re all governed by the main regulation which is “The Lifting Operations and Lifting Equipment Regulations act 1998”. In this regulations it states that all the hoists must be in a good working order, they must be made correctly and properly maintained and have a review every 12 months, which must be undertaken by a competent person. If the hoist is used to move people like in a care home or a lift, it needs to be tested every six months. This test is often referred to as a LOLER test. All findings from these inspections need to be recorded and if any problems are found they need to be reported immediately. The other regulation you need to be aware of is the Provision and Use of Work Equipment regulations 1998. In the case of a passenger lift, there should also be a competent person to be available to return the lift to a floor in the case of breakdown or emergency. All hoists and lifts in the workplace when checked need to have guards in place to prevent any areas where arms could get trapped. If counterbalance weights are used they must be safely stored to make sure no one can get in and get hurt themselves and any gated areas must remain locked at all times except for authorised personnel. Where the machine is mobile there may be additional requirements to secure the hoist to the ground and there may be break issues, lights, tyres and fuel levels to ensure are correct. With all hoists and lifts maintenance is vital and your role as an employee is to report any potential problems. If you think there is any way you could get your arm or any other part of your body caught or trapped then you need to report this immediately, have a look at them but be careful. It is important to never overload the machine and ensure that you know the maximum operating weights so that you do not accidentally exceed them as this can cause injury due to collapse or breakdown. Make sure you’re properly trained before using any type of hoist, crane or lift. If you’re not trained and have a question just ask your manager but the most important thing is to keep clear of any machinery as it could cause serious injury or even death.